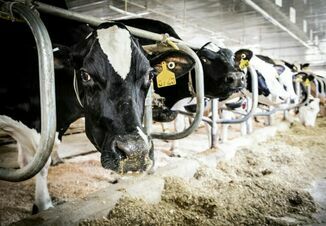 The U.S. Department of Agriculture's (USDA) National Institute of Food and Agriculture (NIFA) this week announced the availability of funding to help assure rural communities have sufficient access to livestock veterinary services. Funding is made through NIFA's Veterinary Services Grant Program (VSGP). The VSGP is designed to support education and extension activities and practice enhancement initiatives that will enable veterinarians, veterinary students, veterinary technicians, and veterinary technician students gain specialized skills and provide practices with additional resources needed to more effectively mitigate veterinary service shortages in the U.S. Ultimately, VSGP will bolster the capacity of veterinary practitioners to provide food animal veterinary services in designated rural veterinarian shortage situations. New and resubmitted applications will be accepted for two project types: education, extension, and training; and rural practice enhancement. 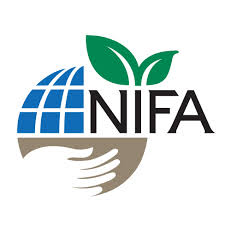 NIFA reviews proposals submitted to its competitive grant programs through an external peer review process. Specific details on panel meetings, review formats, and evaluation criteria vary among programs. Pending Congressional appropriations, approximately $2.4 million will be available to support the VSGP in fiscal year 2018. The application deadline is May 18, 2018. For more information, see the VSGP funding opportunity web page. NIFA's mission is to invest in and advance agricultural research, education, and extension to solve societal challenges. NIFA's investments in transformative science directly support the long-term prosperity and global preeminence of U.S. agriculture. To learn more about NIFA's impact on agricultural sciences, visit www.nifa.usda.gov/Impacts, sign up for email updates, or follow us on Twitter @USDA_NIFA (link is external), #NIFAImpacts.